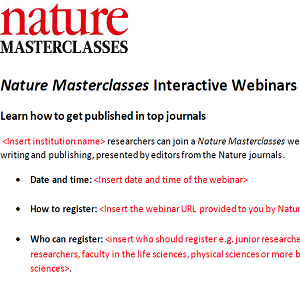 Encourage your researchers to register for your Nature Masterclasses webinar using the the promotional resources below. 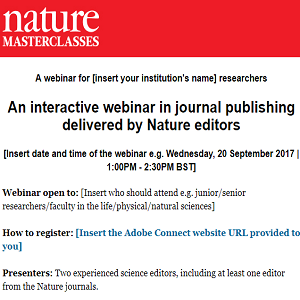 Email your researchers to encourage them to attend the webinar. Download from Dropbox here. Put information about the webinar on your institution's website. Download our recommended text from Dropbox here.